Singapore (Singapore) – August 28, 2018 – JTB Corporation’s Asia Pacific Headquarters will make their exhibiting debut at IT&CMA 2018, engaging with buyers and media through an additional hosted luncheon and Association Day destination presentation slot, to showcase their global MICE capabilities and PCO services for Japan and the region. JTB Thailand and Kobe Convention Bureau will also exhibit alongside. The largest and oldest travel agency in Japan with over 100 years of history, JTB’s ethos to advance and facilitate international tourism to Japan is unwavering. JTB is able to provide bespoke MICE experiences unavailable from other providers, encompassing a corporate profile that delivers total solutions including travel & logistics for meetings and event organisers, proven expertise and experience administering big and small scaled projects, full services that free the client from organisation and operational tasks, a code of conduct and quality exemplified by omotenashi – the philosophy behind Japanese hospitality, and a connected network of partners and suppliers. 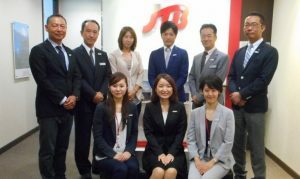 JTB serves Japan’s tourism industry with offices in all 47 prefectures in Japan and from over 1,100 offices in 38 countries, with the group’s global corporate business faction functioning as a leading DMC and PCO for MICE and Business Travel Management in Asia. The corporation is part of government projects such as the G20 Summit, the 2020 Tokyo Olympics, Rugby World Cup Japan 2019, and the World Masters Games 2021 Kansai, to drive consumer and corporate travel-related hospitality services into and within Japan. To meet many more brands like JTB at IT&CMA 2018, join us from 18 – 20 September at the Bangkok Convention Centre at CentralWorld. The leading MICE event is co-located with CTW Asia-Pacific – The Leading Corporate Travel Management Conference for the Asia-Pacific. Established in 1993, IT&CMA is at the forefront of fostering MICE growth opportunities for the Asia-Pacific and beyond. Its multi-faceted programme engages regional and international industry suppliers and buyers in the realms of business, education and networking. IT&CMA also features dedicated platforms designed around the interests of valuable MICE niche segments, enabling the event to consistently deliver a delegate profile that is both relevant and dynamic. IT&CMA remains uniquely positioned as the only global event with the largest exhibition showcase of Asia-Pacific MICE suppliers. The show has been incorporating Luxury Travel since 2012, and is part of the IT&CM Events series. Co-located with CTW Asia-Pacific, IT&CMA is part of the IT&CM Events series organised by TTG Events, a business group of TTG Asia Media. IT&CMA and CTW Asia-Pacific is Asia-Pacific’s Only Doublebill Event in MICE and Corporate Travel. Both events have been co-locating since 2004, offering its delegates an unparalleled platform to do business, learn and network.